Casting around for something good to watch on Netflix Instant, but can't decide between two equally horrible-sounding choices? Here are my mini-reviews of six of Netflix's stranger offerings--the good, the bad, and the poopy! If even these mini-reviews are too long, skip to the Too Long, Didn't Read one-word summations at the end! 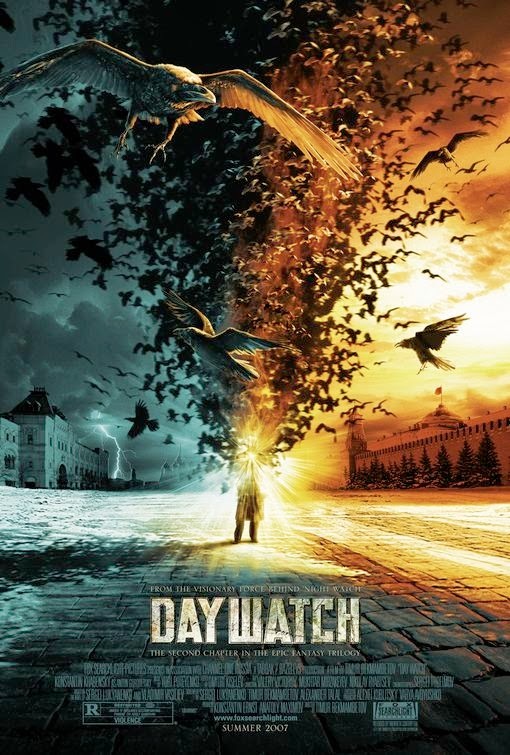 Day Watch (2006): It's not really new to Netflix, nor is it a post-apocalyptic movie so much as a sort of 'ongoing threat of looming apocalypse' movie, but that's good enough for Nerd work! This sequel to Timur Bekmambetov's 2004 Night Watch, itself a pretty entertaining ride, felt far superior to that maiden effort. The comic touch, as well as the romance of regret (the all-important quest to unmake the critical Bad Mistake that started the whole mess in the first place), are finely done, and everything from the dialogue (or its subtitles, in any case) to the character development feel more convincing here than in Night Watch. 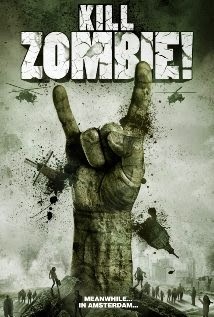 Kill Zombie! (2011): a spirited Dutch attempt to capture the magic of Shaun of the Dead, it's amusing enough, and it's got some interesting comic twists, but overall it feels very derivative, and—to put it kindly—the lead actor is hardly of Simon Pegg caliber (or "calibre" for all you zany British spellers out there!). 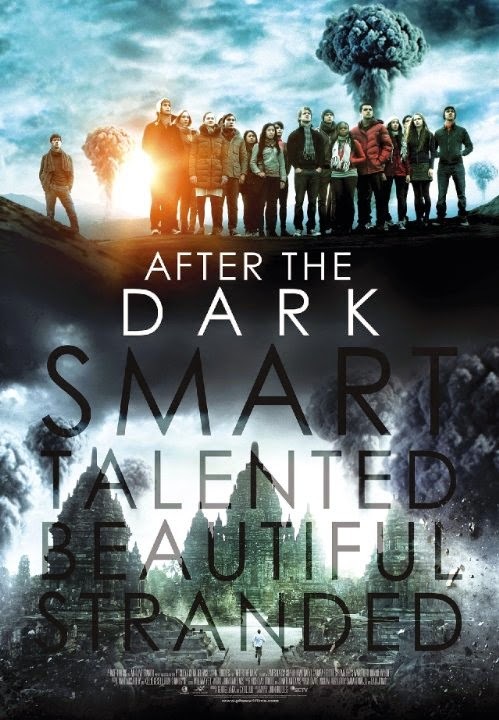 After the Dark (2013): What a weird, irritatingly inconsistent movie! It's got plenty of eye candy in the lush visuals of nuclear apocalypse and so forth, and the thought experiment of visualizing a thought experiment,if you will, was interesting, but it's thoroughly sunk by a stupid love triangle angle and a leading lady utterly lacking in charisma. Plus, why Indonesia? And who made a bunch of entitled expatriates the masters of the universe, anyway? If someone told me, "Quick! You can only save ten people from among these twenty snotty whiners...who will it be? ", the choice would be easy—I'd save none of them. I'd rather spend a year utterly alone than have to endure any one of them, especially in the feel-good hippie version. 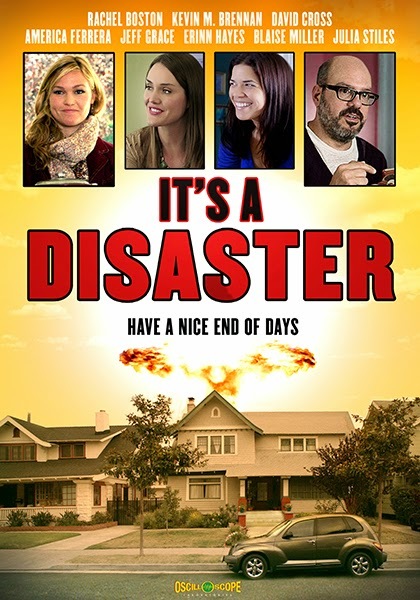 It's a Disaster (2012): It's anything but! David Cross has never been funnier, including in Arrested Development, and the ending is to die for, as is the delicious uncertainty that the apocalypse has come at all! 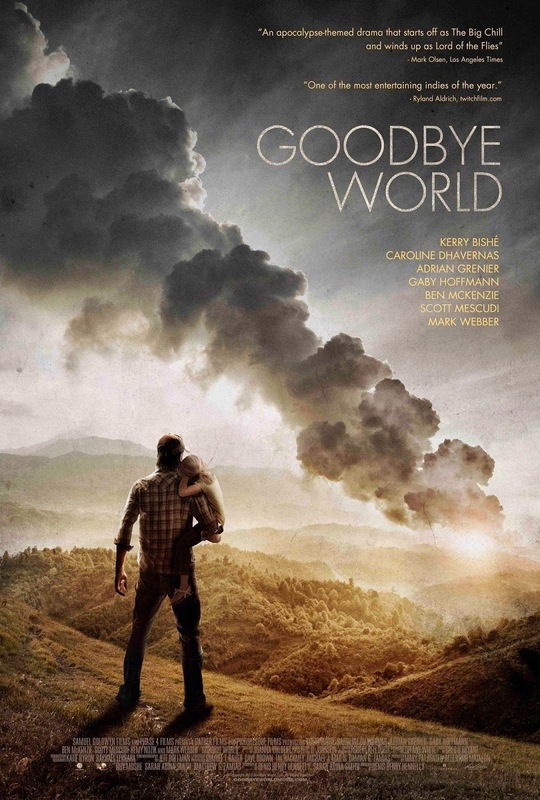 Structurally, it's very similar to Goodbye World (see above), but it keeps the relational dysfunction at the center of the comedy rather than trying to be all serious about something as potentially hilarious as The End. Overall, It's a Disaster is one of the funniest movies, bar none, I've seen in a good long while. This has been a public service announcement of what's loopy and what's poopy in Netflix Instant streaming's rather uneven selection of post-apocalyptic movies, brought to you by Zhaoyun, sf/f lover and crap-hater here at Nerds of a Feather since 2013.